After graduating in law from Cambridge and being called to the Bar at Gray’s Inn, my father, Oliver Nugent, sailed back to the family home in Antigua in 1939. He was admitted to the Leeward Islands Bar on 7th June that year before sailing to nearby St Kitts a week later to start his legal career with a practice based in Bank Street, Basseterre, the main town of St Kitts, which is 59 miles/95 km from St Johns, Antigua. In Europe war had broken out and it was no longer safe to make the long Atlantic crossing outside the escorted convoys of the North Atlantic. 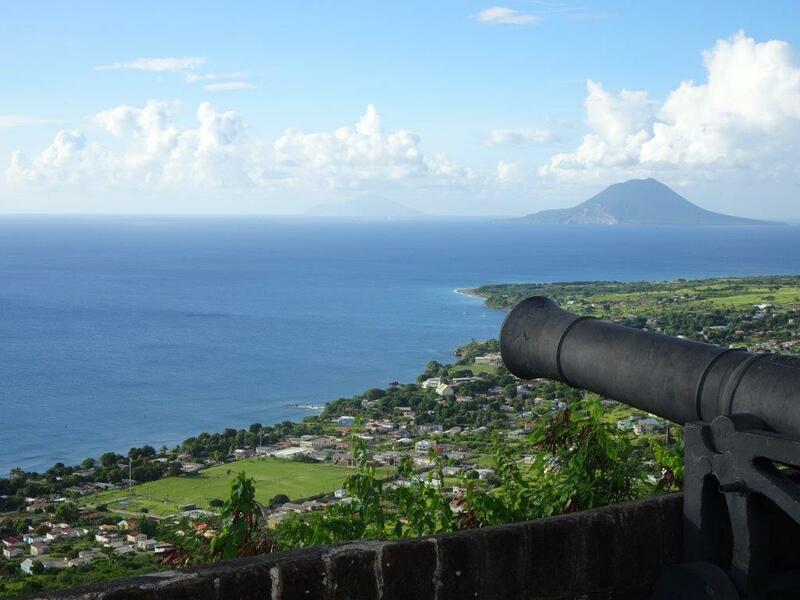 St Kitts and its neighbour, the volcanic island of Nevis. The highest point shown as Mount Misery (1156 m/3792 ft) is now known by its original name of Mount Liamuiga meaning 'fertile soil'. 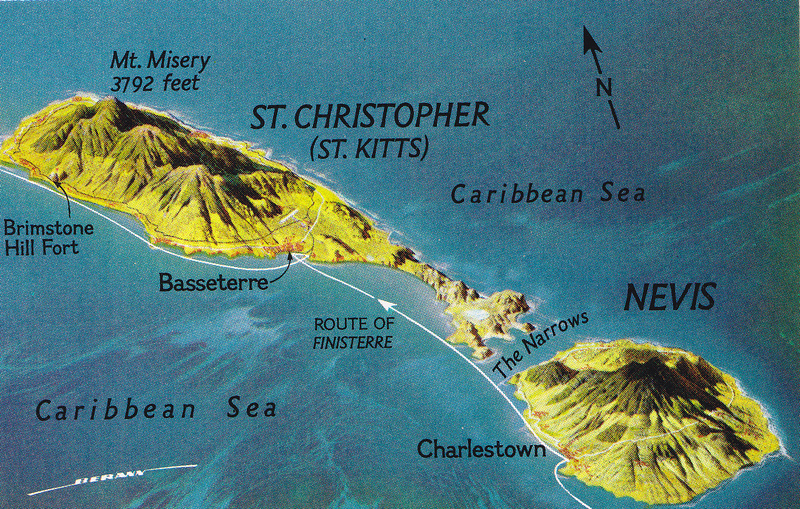 First claimed for Spain by Christopher Columbus in 1493, St Christopher – to give the island its formal name – was one of the earliest islands to be colonised by the British in 1632. It was later occupied by the French but returned to British control in 1667. There were several further battles for control between the British and French during the 17th and 18th centuries and a period when they shared the island before it came fully under British control in 1783. It is significantly smaller than Antigua and with less than half its neighbour’s population. Like Antigua, St Kitts earned its keep through sugar cultivation. And, as in Antigua, slavery was abolished in 1834. Kittians say their island is the dividing line between the Atlantic Ocean and the Caribbean Sea. Oliver won his first case, successfully defending Ernest Brown from the charge of ‘maliciously wounding a cow at Monkey Hill’ according to a report in the St Kitts-Nevis Daily Bulletin of 4th November 1939. He would have had the satisfaction of knowing that his father, George Oliver Nugent, who had backed his choice of career, knew the result of the case before he died in Antigua on 9th November. Oliver’s first defence in a murder case followed in July 1940; his success was qualified when the defendant, Samuel Wyatt, was convicted on the reduced charge of manslaughter. View from Brimstone Hill. In the distance is the Dutch island Sint Eustatius. 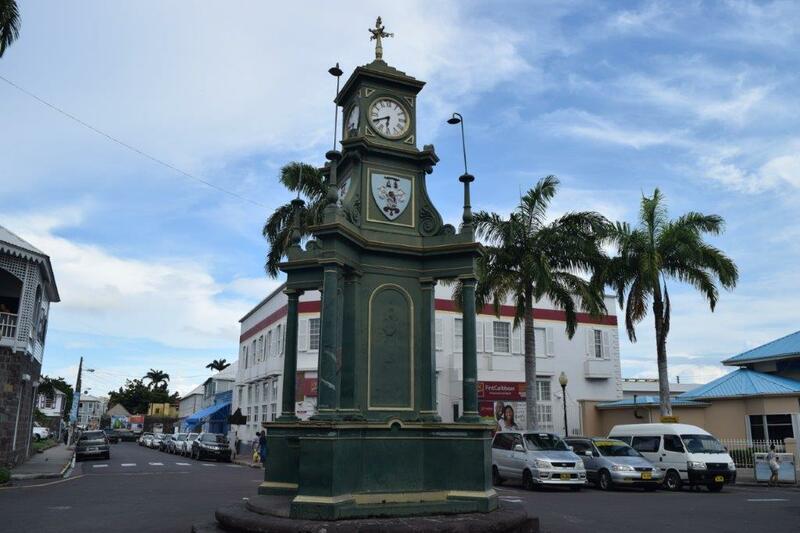 The four-sided clock still stands in the centre of the Circus, Basseterre. Bank Street, where Oliver's practice was located, is straight ahead beyond the memorial. St Kitts, looking south towards the isthmus. In the distance is the volcanic island of Nevis. 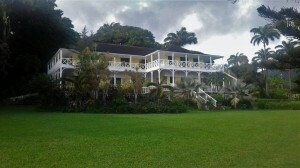 Ottley Plantation Inn, on the site of a sugar estate. 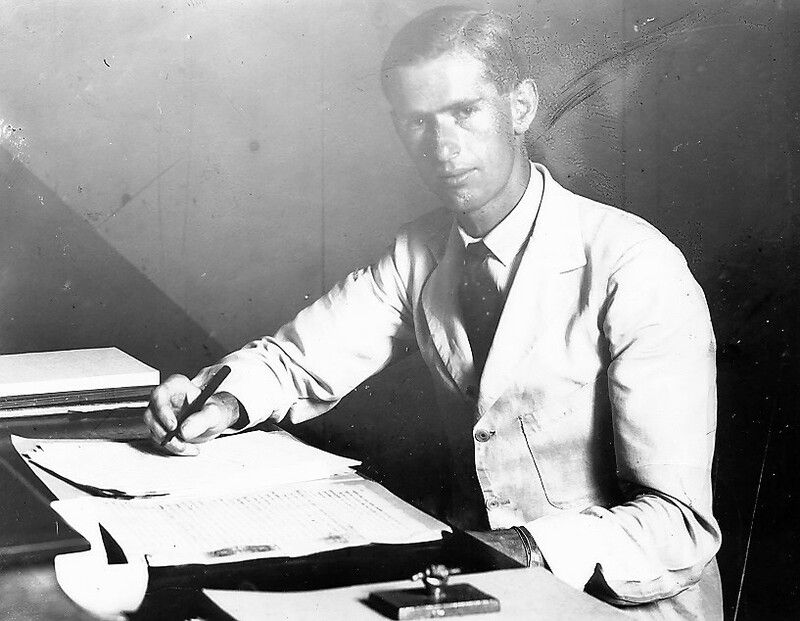 When Oliver returned to Britain from war service in Asia he settled down to life as a husband and father near London and was never to return to Antigua or St Kitts. His mother had made her new home in Wiltshire, England, and his brother and sisters were in various parts of the then British Empire, Uganda, Malaya and Rhodesia. (See Oliver Nugent, CBE) In the 1960s he followed with interest the independence negotiations for the creation of a federation embracing St Kitts and its adjacent islands of Nevis and Anguilla, and Anguilla’s acrimonious departure from the federation in 1971. 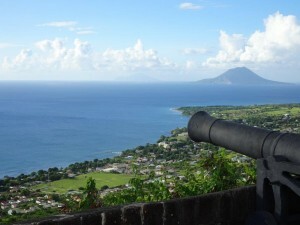 St Kitts remains federated to the volcanic island of Nevis, from which it is separated by the two-mile wide ‘Narrows’. Anguilla remains a British colony. 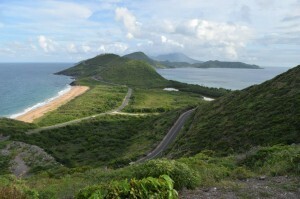 Sugar production ceased in St Kitts in 2005 since when tourism has been the island’s main activity, though the island still produces several brands of rum from imported molasses. On a recent visit I was gratified to find another surviving family connection in the form of the Ottley Planation Inn near Ottley village. Ottley was the maiden name of my great great great grandmother Lucretia, later Lady Nugent, who hailed from Parham in Antigua. 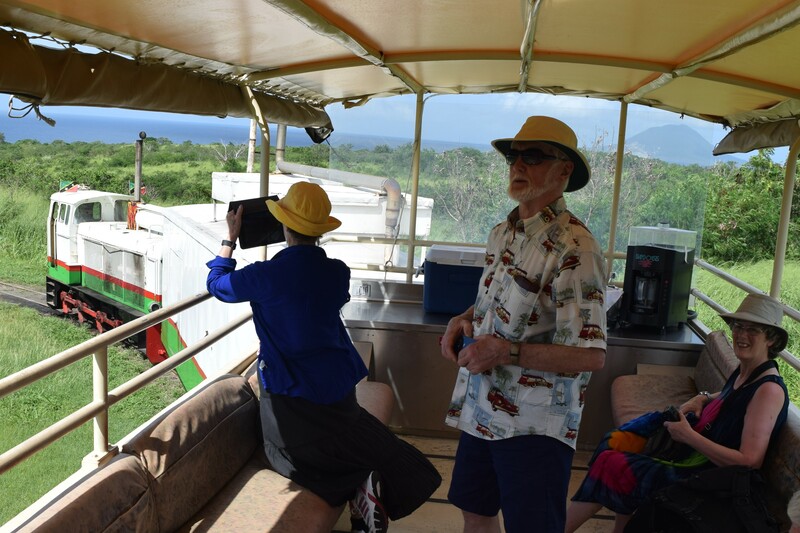 Three generations of the Ottley family lived in St Kitts from 1680 before migrating to St Vincent and then Antigua. 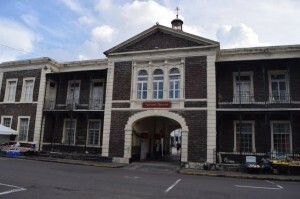 The old treasury building is now St Kitts National Museum. Below: another view of Brimstone Hill. The railway, which brought sugar cane to one of the processing factories, has now been converted to a round-the-island tourist attraction. In the season Basseterre is a popular stopping point for Caribbean cruise liners. 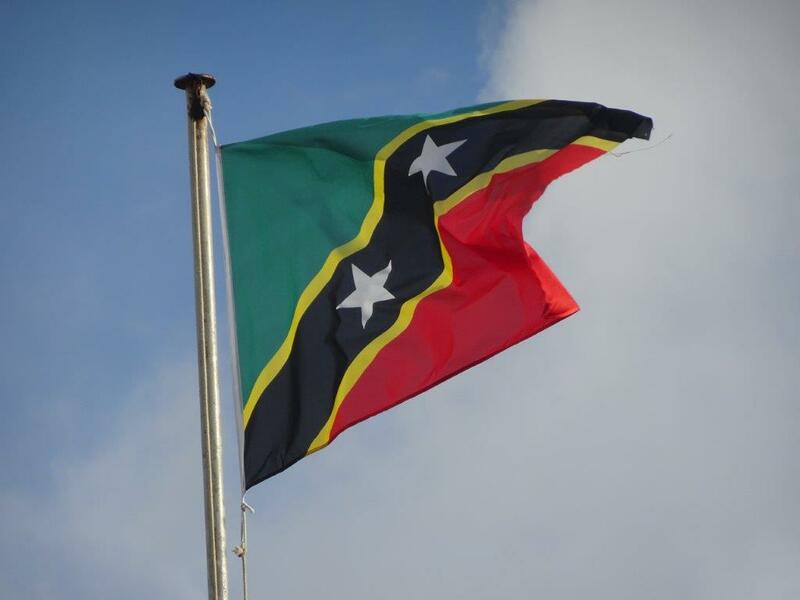 St Kitts houses the central bank for the Eastern Caribbean Dollar. Like Antigua it is a cricket-playing nation. 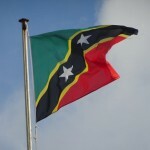 Among other notables St Kitts has sired champion sprinter Kim Collins, the well-known writer Caryl Phillips and singer-songwriter Joan Armatrading.